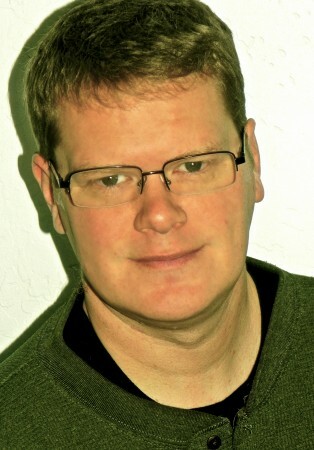 The 2x4THERAPIST is Todd Call, a Licensed Marriage & Family Therapist (AZ, MT) and a Licensed Clinical Professional Counselor (MT). I have been a therapist since 1998. I have a Master of Science degree in Marriage & Family Therapy from Harding University. The majority of my experience has been with teenagers and their families treating relational and behavioral problems, and addictions. I have also worked with couples, neglected and abused children, eating disorders, and ADHD in a variety of settings including school, residential treatment, hospital, outpatient community services and private practice. I am also an AAMFT Approved Supervisor-in-Training, and I have taught undergraduate and graduate level courses in Counseling and Marriage & Family Therapy at two universities. I am married with 7 children and live in Eureka, Montana. Because sometimes people need more than a gentle nudge toward the obvious. Most of the time people know the truth, they just don’t want to admit it. I’m not your typical counselor or therapist. I’m blunt; I don’t dance; and I call it like I see it. That’s what my clients hire me to do. I don’t pat people on the knee while they’re crying and say things like, “Everything’s gonna be alright” or “You poor thing.” NO! I don’t pass out tissues like a sales rep either. I respect the dignity of a snot nosed tear streaked human being to be able to ask for what they need instead of forcing them to STOP CRYING! Maybe they have good reason to cry and have been holding it in for far too long. I am a happily married, white, male, non-smoking/drinking/drugging, Christian, conservative, therapist and I can still work effectively with your meth-addicted, bisexual & experimenting, entitled, liberal, hates-the-system teenager who thinks the world owes them and that you are to blame for all of their problems. So if I can do that, I should be able to do wonders with you, right? Listen, really, I get it. Nobody wakes up and says, “How can I screw my kid or my life up today?” This stuff takes time to happen, years in fact, and involves many decisions. However, no one acts alone in a vacuum. If you don’t face your part in the relationship, why should anyone else? By the way, words mean things to me. So when I use words or phrases that aren’t PC, tough. Political Correctness has destroyed common sense and authentic communication in this country. Not PC enough for you? Write your own blog. Besides, when someone acts like a victim because of what somebody else says, who is the one with the problem? You have been warned… Read on at your own risk.